Previously there was simply a section on the homepage that showed four of our new additions. That is still there, but you can now click ‘view more’ to see a whole page of our newest products! Keep an eye on this page or sign up to our newsletter to stay up to date with our latest ranges. 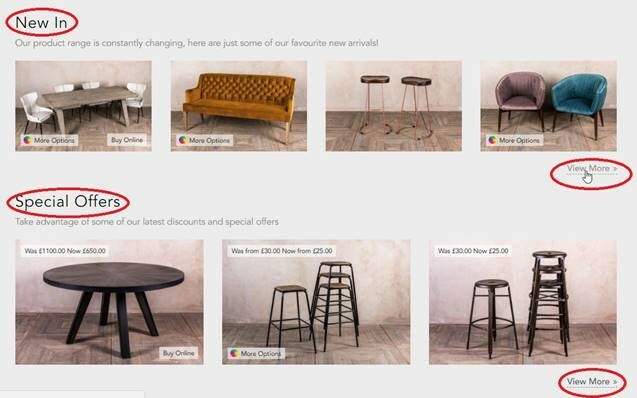 On the homepage we show three of our items on special offer, but as with the ‘New In’ section, you can now click ‘view more’ to see a whole page of products at amazing prices. 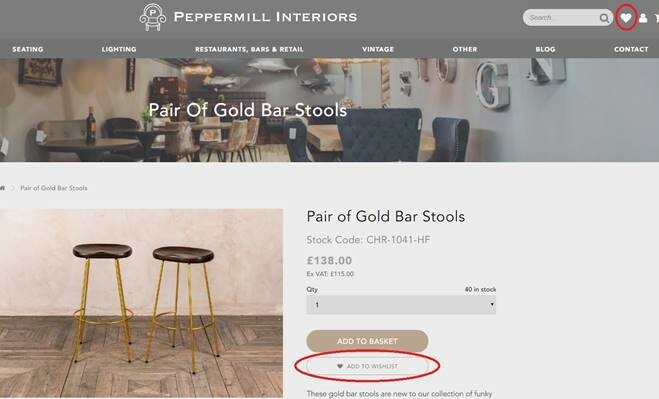 If you spot one of these items on its normal product page, it will also have a small ‘Special Offer’ label to let you know. You said that you wanted to see more images of our products in real homes and businesses. Well, now you can! Simply go to the ‘Blog’ dropdown on the banner at the top of the page and select ‘Customer Photos’. 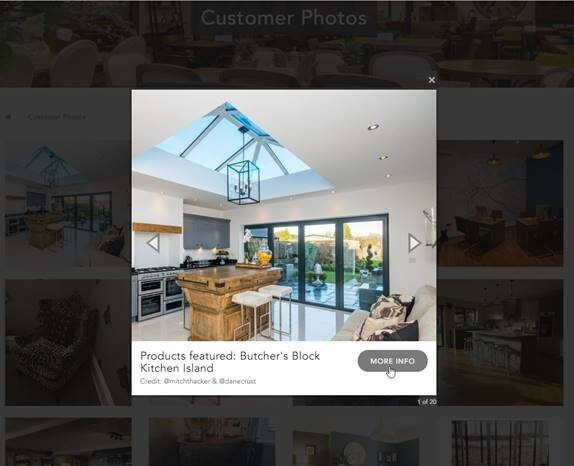 Each photo has been sent to us by our customers, or we’ve been tagged in it on social media. You can click on each photo to find out more about it. Another way to see our lovely customer photos is to follow us on Instagram, Twitter, Facebook, and Pinterest. We’ve saved the best for last; this is our favourite one of the new website features! On each product page there is now an ‘Add to Wish List’ button underneath the ‘Add To Basket’ button. Add products to your wish list to keep track of your favourite items and make it easier to find them if you decide to go ahead with the purchase. You can find your wish list by clicking on the heart icon at the top of your screen. We'd love to know how you think we're getting on and we’re always open to suggestions on how to improve our website. Give us a call, message us on the instant chat, or email us at info@peppermillinteriors.com.